Submitting Character Sheets, making them translatable to other languages and submitting API Scripts for use by the community requires familiarity with GitHub.com. This document is a simple, bare-bone guide to get you from "What in the world is Git?" to "Everybody should use my brand new character sheet!" as quickly as possible, without trying to teach you all the intricacies the system is capable of. Git is version control software, but this guide will totally ignore how you can use it to track your changes, and focus solely upon moving your updates to the master Roll20 repositories. The "More Info" section contains links to guides for how Git/GitHub works that are general in nature. There are several different ways to use Git. 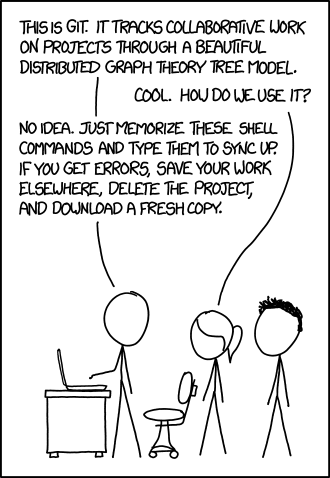 Git is very powerful, but in order to get the very most out of it you need to learn how to use the command shell (xkcd comic). The "More Info" section at the bottom has additional reading about the command shell for those interested. However everything that this document is going to be walking you through can be done using only GitHub Desktop GUI (very good at keeping your computers hard drive synchronized with your repository - See "Clone your Repository" below) and the GitHub web tools both of which are simplified tools to use the underlying Git. In order to use GitHub, you need to have an account on their website. You can create a paid account or you can create a free account. Unless you plan to create a large number of projects which you don't want to share with the world, there is no reason to create a paid account: the only difference between the various pricing levels is the number of private repositories you're allowed to have. Everyone, including free accounts, gets to have an unlimited number of public repositories. 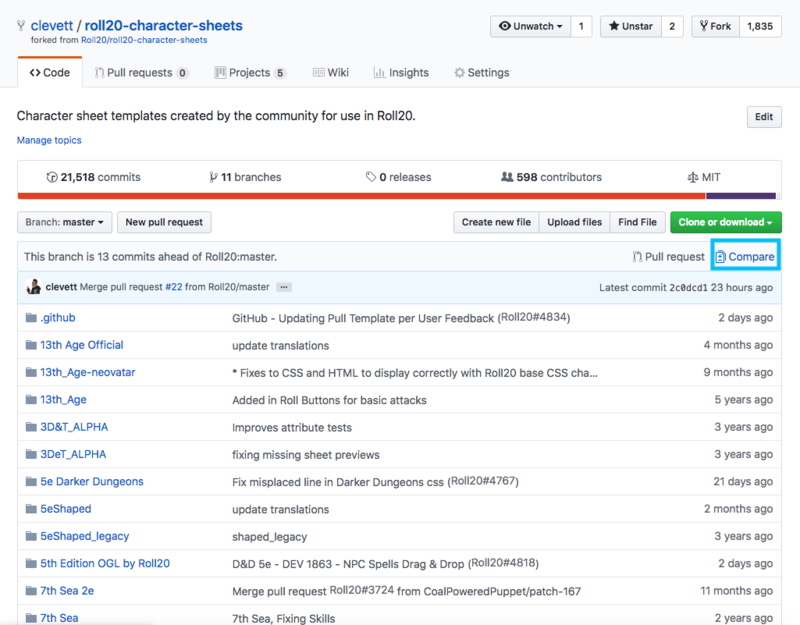 You will be dealing with the master Roll20 Repositories for roll20-character-sheets and/or roll20-api-scripts which are public repositories. You will also be creating a fork of these repositories, which might as well also be public, so for your Roll20 usages, a free account is all you need. A fork is a copy of a repository. Forking a repository allows you to freely experiment with changes without affecting the original project. "roll20-character-sheets" is the Character Sheets repository. For API Scripts, fork "roll20-api-scripts". Forking is easily done using the GitHub web tools. Click the Fork button on the official repository located at https://github.com/Roll20/roll20-character-sheets or https://github.com/Roll20/roll20-api-scripts as appropriate. This will create a copy of that repository in your account, which you will have permission to make changes to as you please. You can fork the repository as many times as you want, but you only need to fork it once. This new repository will have an address identical to the original, except instead of being at root "Roll20" will have a root of your roll20 account name. If you are working with another user on the same sheet or script, it may be a good idea to go into your new repository's settings and add them as a collaborator. The details of how to add a collaborator or work with a collaborator are beyond the scope of this tutorial, however. If you are familiar with the Git version control system, you shouldn't need any other information to complete your character sheet submission. Everyone else, read on! Cloning a repository also makes a copy, but a cloned repository is used as a working copy and is upon your local computers hard drive as normal folders and files. Git maintains a link – by default named "origin" – between the folders and the repository it was cloned from. For the beginner Git user, It is strongly recommend downloading and installing either GitHub for Windows or GitHub for Mac as appropriate for your operating system. These will hereafter be referred to in this document as "GitHub Desktop" or "the desktop app". In addition to being a simple way to install and setup Git version control on your computer, the GitHub desktop applications make it easy to link to your GitHub user account. It will tell you whenever your files on your computer are out of date with your repository on GitHub and allow you to easily synchronize the two. When you first run the GitHub application, it will prompt you to log in to your GitHub account. Then, click the large plus sign in the top left to Clone your repository. When you clone the repository, you'll be prompted to select a location to put the files. Make sure you select a location that you can find easily, you'll need to know where it is! If you get a new computer, installing the GitHub desktop and Cloning your repository is the only step that needs to be repeated. The desktop app also has the easiest interface for managing Branches. When you switch branches within the desktop application, it will add / remove / change files so that they match the last commit done from the branch you have switched to. If you're not using the GitHub application, you can find the clone url for your repository on the page for your repo. GitHub offers both SSH and HTTPS clone urls, as well as a Subversion checkout url. The details of cloning your repo manually are beyond the scope of this guide, however. The above setup is only done once. The following section describes the procedures that is recommended to be followed each time you want to submit an update to Roll20. Rather than doing a sync whether it is required or not, you may wish to first see if you need to Synchronize the project(s) you will be working on. One easy check is to look at the files in the Roll20 repository, and see the last modification date. Another is to open the files there and run a "diff" utility upon them and your most recent version. Check to see if there are any Pull requests pending against the files you will be updating. If the specific files that you will be modifying are unchanged since the last time you synchronized, performing a full synchronization of everything is optional. Another option is to just pull all updates from the master Roll20 repository. This will get all the updates that other people have done to the roll20 repositories since the last time you synchronized them (including a bunch of character sheets or API scripts that you may not care about). This link has a guide to sync your repository with Original. When you are done with this, the files in the Roll20 master repository, your own repository, and your hard drive should all be the same. 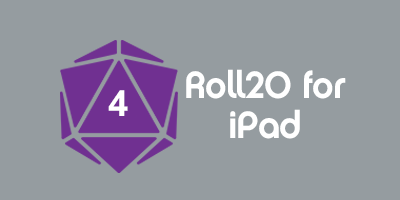 Make sure you also update your roll20 campaign. It is recommended to make a new branch for every separate project (character sheet or API script) and for every separate update. For example if you are going to be updating two different API scripts at the same time, make a branch for each script. If a few weeks later you decide to make additional changes to the same script, make a new branch for the newer update. As a rule of thumb, make one new branch for every pull request. The desktop app also has the easiest interface for managing Branches. On the menu at the top, just pick "Branch / New branch". When you switch branches within the desktop application (The 2nd line allows you to switch the repository you are working on, and switch the current branch), it will add / remove / change files on your hard drive so that they match the last commit done from the branch you have switched to. When you commit changes, you store a record of everything you changed as well as a human-readable description of what you've done upon your local computer. You then push your commits to your repository. Once you have a working copy of your repository cloned, you can make changes to it. 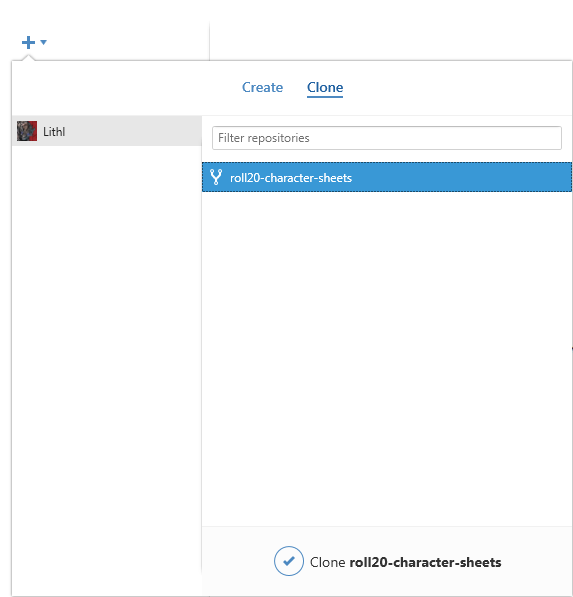 This includes creating a new folder for your character sheet or API script and adding the source code to it, or making modifications to files already there. Many people, when developing Roll20 scripts or character sheets, do all of the actual editing in a text editor (for example notepad++). You can simply open the files on your hard drive (the ones created in the 'clone' step) in any text editor and make the changes in the editor. Whenever you wish to run the code on Roll20, hit ctrl/a and ctrl/c to select all the text and copy it to the clipboard. Then paste it into the correct Roll20 campaign field. If additional changes are needed (for example debugging) it is often easiest to continually perform a cycle of edit, copy, paste and test. When you command the text editor to save your changes, it will finally write your changes to the file you have been editing, and GitHub Desktop will detect that the file you edited has changed and display the name of the file that has changed in its left pane, and in the right pane display a summary of what it detects as being different between the current save and the last commit that was made. However these changes have only been detected, GitHub does not actually made any record of these changes until you commit them. The Git experts recommend commiting often, as commiting gives you an off-site backup of your work, and a record of each commit. Commiting is very simple. The desktop app has already done all the work of identifying what needs to be commited. Enter a title for the changes and optionally enter a longer description, commit the change by presing the "commit to (branch)" button. Make sure you make your commits to your working branch, not your master branch. Making frequent commits provides you with a detailed history of the changes you're making, as opposed to a single commit with everything once you're done. Note that there is a length limit to the Summary. However, if you exceed the limit, your message will automatically overflow into the longer Description. You can see this happening when text in the Summary field turns gray. As soon as you make the commit, GitHub desktop should display a large notice that there are No Local Changes. It should also suggest that you push your commit to the origin. Alternatively it might suggest that you "Publish Branch". Committing your changes still only stores them on your computer. In order to get those changes onto GitHub, you need to push them up to your origin, the repository being stored online. Simply push the "Push Origin" or "Publish Branch" button. Alternatively, at any time origin and clone are out of date there should be a very poorly labeled button in the upper right that has a number and an arrow on it. That should, among other nice things, sync everything between your repository and the clone, so you could push that instead. At the top of the desktop tool, the drop-down menu item "Repository - Push" will also get the job done. Continue to edit and make commits until your changes are complete and you have tested and debugged code ready to be submitted for the rest of roll20 to enjoy. You are now ready to request that the roll20 site administrators "pull" your changes into the official roll20 master repository. As its name suggests, a pull is the opposite of a push. Instead of a copied repository sending commits to the original, the original asks for commits from the copy. On the webpage for your repository, there is a green button which says "Compare, review, create a pull request" when you hover over it. This button will take you to a page where you can create a pull request. If there are any differences between your repository ("head") and Roll20's version of the repository ("base"), they'll be displayed here. (Note that you can change what to use as both the head and the base by clicking the nearby "Edit" button.) Since your changes are all in your working branch, not your master branch, you want your pull request to come from your working branch. Because you don't have collaborator permissions on Roll20's repository, you can't perform the pull action yourself, but you can request someone else to perform the pull. Press the large green button labeled "Create pull request" and a pull request will be opened on the base repository.The people with permission to do so (ie, the Roll20 developers) can examine the pull request as well as the content of the changes proposed, and then merge the request into the official repository. For clarity's sake, please include the name of the sheet you have made changes for in the pull request, eg. "[Dungeondivers 3rd Edition] fixed broken Might roll". For character sheet submissions, remember to include sheet.json and a preview image – check the readme for more information. For API script submissions, remember to include script.json – check the readme for more information. Assuming everything is correct your sheet or script should get added to the approved.yaml file and be available to all users! Once a week, Roll20 processes all available sheet requests. When this occurs, you'll receive an email from GitHub. This email will either let you know a comment was left on your request regarding an issue that was discovered with your submission OR if your sheet was merged as expected and your request was closed (because it was completed successfully). If you create a pull request and then commit & push some additional changes to your repository/branch before the Pull Request is merged, those new changes will be automatically be updated/included in the original pull request; there is no need to make a second pull. Do NOT delete any branch until all pull requests from that branch are completed and closed. Actually there is never any hurry to delete a branch at all. They don't hurt anything so long as you remember to only use each branch once. The GitHub software will recommend that you Merge your Branch back into master. This is a step that is needed with other workflows, but not in the Forking Workflow which we are using. Instead, we recommend synchronizing your fork with the roll20 original as the first step in preparing for your next update. This will bring the updates you just did (as well as any changes anybody else has done) into your fork. Therefore there is no cleanup that needs done. This page was last modified on 14 April 2019, at 19:00. This page has been accessed 19,669 times.